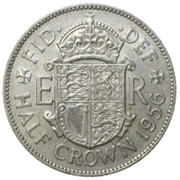 The half crown was a British coin which was valued at “2/6” (two shilling and sixpence) – 12½ pence in modern currency. It was literally half the value of the Crown. Half crowns were first issued around 1549 in gold or silver. It was then issued by the majority of Monarchs (plus Oliver Cromwell) all the way through to Elizabeth II. The last standard mintage was in 1967 and the coin was officially demonetised in 1970, one year before full decimalisation. A proof half crown was released in 1970. The halfcrown was a large coin, from 1816 to it’s final minting having a diameter of 32mm and weight of 14.1g. In pre-decimalised Britain when the Crown was essentially a commemorative coin, the half crown was the largest denomination coin in circulation and had considerable spending power. 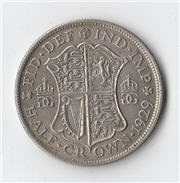 Before 1920, half crowns were actual sterling (92.5%) silver. This was reduced to 50% silver and in 1947 no silver at all was used and cupro-nickel became standard. 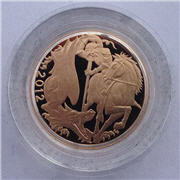 Half crowns are beautiful coins to collect and due to their long history they are very popular. As pre-1920 coins are 92.5% silver even worn copies will have the intrinsic price of the metal but they are still very affordable to most people. 1922 George V Half Crown. Fine. Boxed. KING GEORGE V 1935 HALF CROWN. 1929 GEORGE V SILVER HALF CROWN (2/6) COIN. 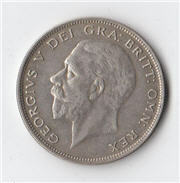 1930 GEORGE V HALF CROWN SILVER COIN. SCARCE IN SUCH NICE CONDITION. KEY DATE.